Does Chlorine in Tap Water Affect Bread Making? Many of the bread recipes on this site call for chlorine-free water. What is chlorine-free water and do you need to use it? Chlorine is used in many water treatment plants to make water safe to drink. In small quantities, chlorine is not harmful to humans, although many people do not like the taste of water treated this way. 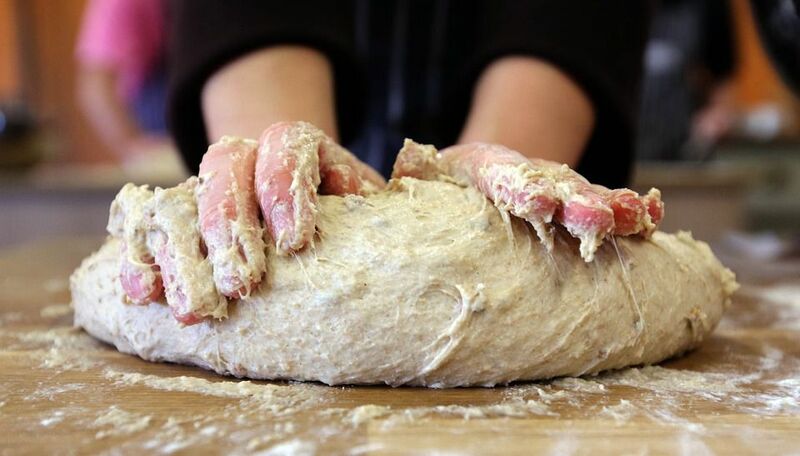 Some organisms are more sensitive to chlorine, and some of those are involved in bread-making. The microorganism symbiosis in sourdoughs can be particularly susceptible. That is why, when you are making a sourdough recipe, it is a good idea to use chlorine-free water. The bread may be fine if you use your normal tap water, but when you spend time and money baking, you want to be sure the recipe comes out right. Different recipes also call for water without chlorine, and that is mostly a matter of taste. Sometimes the robust, Baker's yeast may be affected by chemicals in the water, but not usually. So how do you make water without chlorine? There are several ways. Check with your water company. Ask them how the water is treated. If they do not use chlorine or chloramine in the water, you can use tap water without further treatment. Be aware that even if they do not usually treat water with these chemicals, there are times of the year and certain situations which will cause the company to use them for a time. You can buy it. Most bottled water does not contain chlorine. The companies disinfect the water and bottles with ozone or ultraviolet light. To be sure, check the label. We buy gallon sized jugs of mountain spring water and keep it just for bread baking. You can leave your tap water in an open container for 24 hours, and most of the chlorine will escape into the air. Boil water and leave it to cool and most of the chlorine will be gone, as well. Water filters, particularly some charcoal filters remove chlorine adequately. Again, read the label to find out how much is removed. A more recent problem has come up, however. Water companies have also started to use chloramine in treatment plants. This chemical disinfects the water and stays in the water longer than chlorine. It will not dissipate, like chlorine, from an open container of water. If you have chloramine in your water, you will need to filter the water or use bottled water.